A home from home in a beautiful peaceful location very close to the city centre. The apartment was completely renovated a few years ago and now provides excellent accommodation. Situated in beautifully well kept grounds it is very close to the university and within walking distance of the botanical gardens. In a perfect location overlooking the Endcliffe Vale Woods, the apartment is ideal for visiting Sheffield whether on business or pleasure or the university. Its also an deal location for walkers being so close to Derbyshire & the Peak district but just even on foot there are some lovely parks to explore or a walk to Forge Dam. The bathroom is fully tiled with basin, wc & shower over the bath. Parking is usually available just infront of the building. If all the spaces are full there is additional parking on the development. 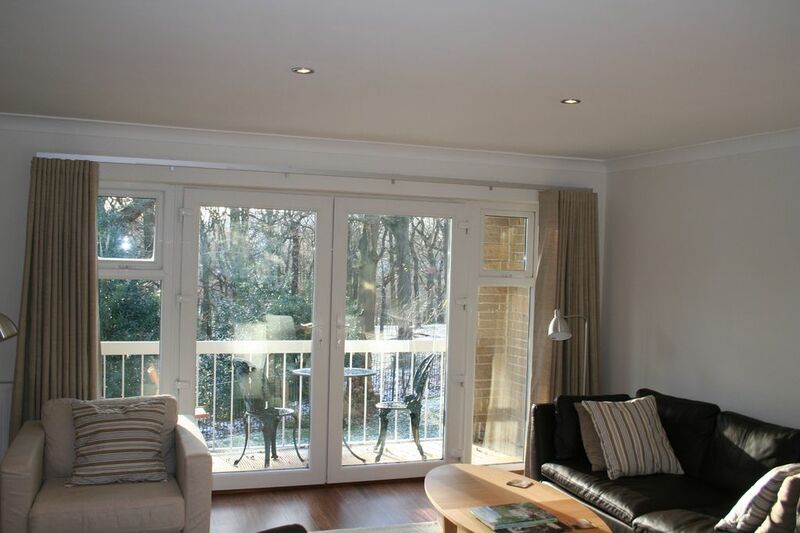 The open plan living room overlooks the garden and Endcliffe Vale Woods. The french windows open out onto a balcony where there is a small table & 2 chairs. The kitchen is fully equipped and overlooks the front garden. There is a communal garden which is very well kept. Very comfortable, wonderful position, fantastic views and great facilities. Excellent views over Endcliffe Park and in a great overall position in Sheffield. Very easy access to the city, the university, many local parks and the countryside. Very comfortable flat with parking, everything you need as well as a firestick! Would definitely like to stay there again. The apartment is really very well equipped and super comfortable . with friends and family and exploring the Peak District. The flat was just perfect - in a good location for the city centre and trendy Ecclesall road wine bars and restaurants. I will definitely be booking again. Spacious apartment, easy parking, lovely aspect, great location, comfy beds , hot powerful shower, great kitchen. We have stayed in the apartment twice and found it to be a very pleasant and convenient place to stay. The visitors' book indicates that many other guests feel the same. So much is in walking distance or an easy bus trip. It's also inexpensive to catch a cab home from town. Central location with plenty to see and do locally.